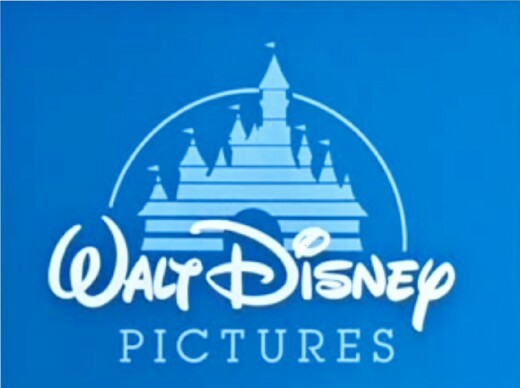 Walt Disney Studios is the most widely known film studio, best-known for their creation of animation movies, which has the edge over their competitors as they also own Pixar Animation, which is another well respected animation studio. After taking an active look and view at Walt Disney Animation's film library, I noticed there were some amazing movies which I had forgotten all about. This triggered the idea, to put together a list of Disney's animated feature films, from their worst to their best. List Includes- The list provides, individual, short reviews for each movie, justifying its rank on the list, along with a picture taken from the movie. List Excludes- I have left Pixar Animation's movies off this list, as it was an intention of mine, to collect Disney's Animation features, which they solely created (under the subsidiary, Walt Disney Animation). For fans of Disney Animation, I'm sure this list will be near similar, if not, the same, as to where the movies would be ranked by yourself. After careful consideration and research, I have collected the 50 best Disney animation movies, and listed them from the worst to the best. A Goofy Movie is great, as long as the viewer is a fan of 'Goofy', as someone who isn't so keen on the character would likely find that the movie is quite irritating. As far as Disney movies go, A Goofy Movie is one of the worst, since the story is slow, the characters are slightly irritating, and the movie has very little to entice the viewer to make a return viewing in the future. 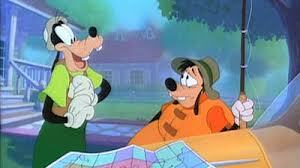 As a Mickey Mouse fan and all of the original Disney characters, the one character which has always bugged me is Goofy. 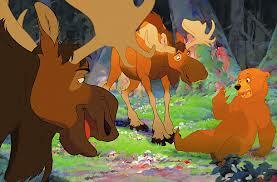 However it isn't the worst animated movie in the world, certainly capable of killing 90 mins, without dragging on. 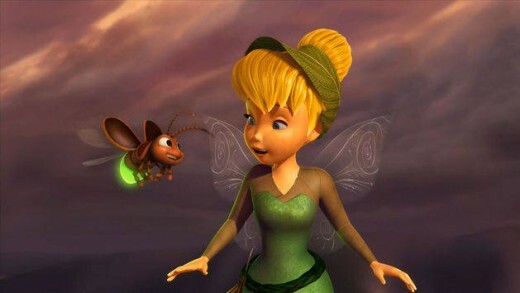 Tinker Bell and the Lost Treasure is a magical spin-off from the popular 'Peter Pan' movie, focusing on the lives of fairy's, and the well-known Tinker Bell. 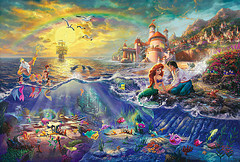 Although the movie would likely please a 3-8 year old girl, quite easily with an interest in the 'Peter Pan' movie. Above that age, the movie is likely to once again irritate, which defeats the point of watching a movie in the first place. Do not be fooled by the title, including Tinker Bell, believing the movie will be as entertaining and well put together as 'Peter Pan' was, as it most certainly isn't, which is frankly disappointing. A fan of Disney channel's' Recess series? Well, this movie will not disappoint, as the movie quickly heads straight into the lives of the main characters, with an interesting storyline which digs straight into the action. However slight the action is, the mystery certainly makes up for it with a devious plan going on from within the school, during the summer holidays, it is up to the 5 friends to put a stop to the evil plot taking place from within their school. This movie must have been a real success, right? Well, No! The movie flopped at the box office, but this shouldn't dishearten viewers, as the movie was anything but a flop in waiting. This is one of those movies we can't quite explain, as to why it flopped, but one things for sure, this is a Disney animation which will entertain all. 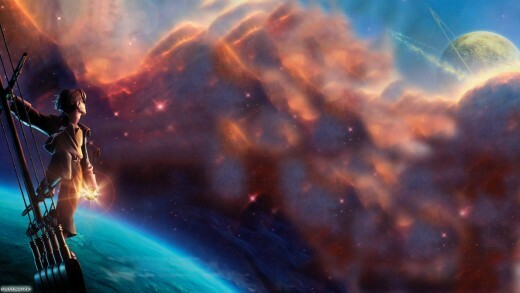 Interested in sci-fi, action, and a good animation? This is the movie to watch! The movie is fast paced, getting straight into the action, with an interesting storyline which grabs the viewer and won't let go. The bad guys are memorable, deceitful, and want to find the ultimate treasure which is like nothing ever seen before. 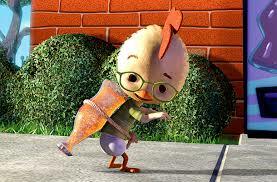 Chicken Little is the run-of-the-mill animation with a bunch of friends (farm animals), who discover extra-terrestrial life on earth. With danger, like the world has never seen before, the group of friends must see that everything is put right and fast before the lives of everyone they know is put in dire danger. Like quirky animation, with talking farm animals? Then this is the animation to watch! Suitable for all age groups, but better aimed towards a 5-10 age group. That isn't to say that others cannot appreciate the movie, although not on the same league as 'The Lion King', the movie is still good entertainment. 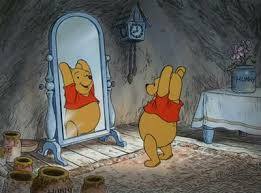 Another interesting spin-off from the 'Winnie the Pooh' movie, which if your a fan shouldn't be disappointed. 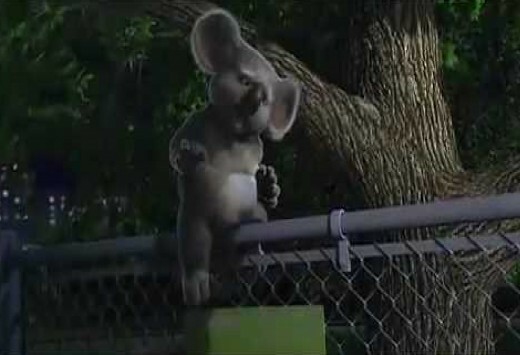 However if your not into 'Winnie the Pooh', then this is certainly a movie to avoid. It's that simple! 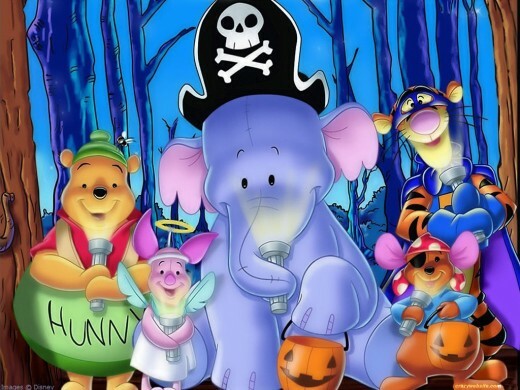 On a personal note, Pooh's Huffalump Movie was a descent movie, one to please the kids but if like myself, you remember watching 'Winnie the Pooh' as a child, then this may be one to watch. Another spin-off movie from 'Winnie the Pooh', based on Tigger, the friendly, bouncy, loveable tiger, and a winner for the kids. As previously said, to enjoy this movie, the viewer must like 'Winnie the Pooh', as the setting is all practically the same. A fun movie, with an emotional storyline which really keeps the viewers attention from start to finish. I was surprised to see how good the movie was, considering spin-off's tend to be an avoid scenario most of the time. 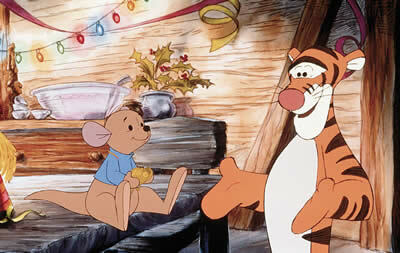 The Tigger Movie is an exception to the rule. 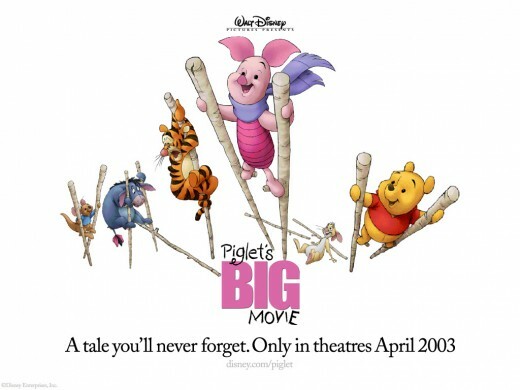 A final 'Winnie the Pooh' spin-off is Piglet's Big Movie, which is based on Piglet, the nervous, small piglet (if that wasn't obvious), whose best friends with Pooh (the bear). A fan of 'Winnie the Pooh'? If YES, then this is the movie for you as more than often a fan of the 'Winnie the Pooh' movie tends to be a fan of Piglet. An adventure about Piglet, what's not to love! A dogs adventure on the road alongside a cat. What could go wrong? Literally anything! 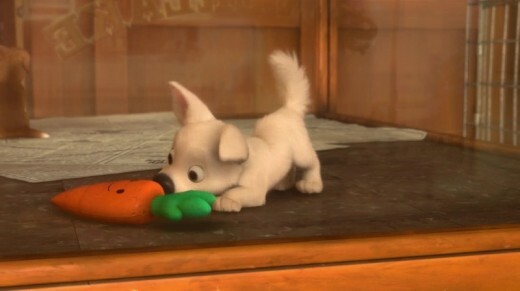 Bolt (the dog) is a film star with no idea what the real world is like, which changes when he finds himself out in the world with a cat for company. An everyday, fun animation adventure, which is certainly a watch-able movie, which sits comfortable in the middle, in terms of excitement and quality. This was a movie with a good budget, which turned out to be a near good movie, which reflected in its bleak profits. Not a bad movie to watch as it is clear to see that the movie had a descent budget, which helps make the film more watch-able. But if what one looks for is a good set of characters, a good storyline, and a good ending which makes the entire movie worthwhile, then this isn't it. This is the movie to watch if one is looking for a near good set of characters, a near good storyline, and a near good ending. Other than those minor points, this movie isn't the worst animation one could watch on a slow day. Especially worthwhile watching if one has any fascination in the secret underwater world of Atlantis, as the entire movie is based on the journey to Atlantis, to uncover one of the worlds greatest secrets. An interesting movie to watch, with humans being turned into bears by strange mystical magic. which sounds slightly odd, but then again aren't all animation movies slightly odd. An adventure unravels as the human turned into a bear must find a way to turn himself back into a human being again, which sounds easier said than done. An average animation movie, but still has a good story which is heartfelt and fast paced with some fun and funny scenes. This is Disney's equivalent to DreamWorks Animation's 'Madagascar', except with more emotion, as the reason for this group of animals leaving the New York Zoo, is to save a lion cub. The journey takes the group of animals to Africa, which is difficult for the animals as they have spent their entire lives in captivation. An emotional, yet still fun animation adventure, which despite mentioning that 'The Wild' is a bit like DreamWorks Animation's 'Madagascar', the storyline, characters, and the feel to the movie are on the opposite ends of the border as to where each movie was coming from. It is highly likely that this will be a movie which 95% of people will enjoy, as it is rare to find someone, or anyone for that matter, who doesn't enjoy watching an animation with talking animals. 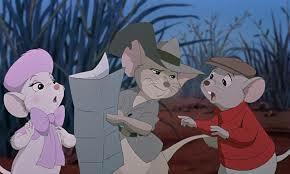 This is the sequel to 'The Rescuers', which is about two mice friends, who set on a journey to Australia (down under), to save a little boy, who has been kidnapped by an evil poacher. Another Disney heartfelt animation which bends the imagination once again with a creative animation adventure, which has an emotional storyline, but not to worry as there are a fair few laughs to be had in the process. Interested in evil, dark spirits? YES, then this may be the movie to watch! Coming from an interesting angle, the movie is far darker than the typical Disney animation movie, which one is used to seeing. However this seems to work in the movies favour as it is scary, at times just plain creepy to watch, but still perfectly child friendly, which is perfect in allowing children to be scared, but not too scared. A generally perfect movie, if into animation, to watch on Halloween (just a suggestion). 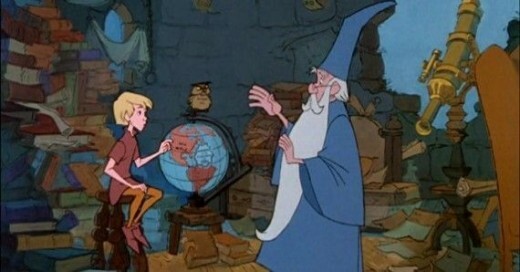 If into 'The Sword and the Stone' movie, then this may also help in making the decision on whether or not this is a movie worth purchasing/watching, as the animation is very similar, and the two movies, although complete opposites, remind me of one another. A twist on the typical Disney princess movie, which was an absolute delight to watch with some unsuspecting moments. As almost always with Disney movies, everything one needs to know about the movie, is all in the title. The Princess in search of her prince, how magical! Then when a frog comes a long in search of a princesses kiss, what could possibly happen if she were to say, kiss the frog. Well, the answer isn't as the fairytale suggests but rather a twist on the whole thing. Definitely, a must watch for everyone out there into Disney princess movies, as we've seen the classics, like Snow White, Cinderella, Sleeping Beauty, and now its time for a twist on a well-known fairytale. 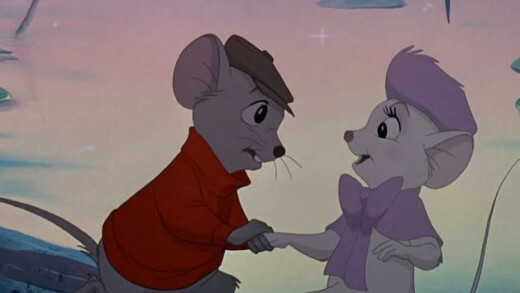 Two mice on a mission to rescue a little girl from two evil people, which isn't an easy task to achieve with two sharp-teethed crocodiles on guard. However it isn't the crocodiles which turn out to be the scariest obstacle standing in the mice's way in rescuing the helpless little girl. A strange idea which has been brought to life extraordinarily well, making for an entertaining Disney animation movie, which if anything, is underrated. Like cats and dogs? Then this may be the movie for you! A world where humans can understand what cats and dogs can talk, is a dream world. Well, that is just what has been brought to the screens with this movie, with the dogs and cats telling their story, in the life of dogs and cats. 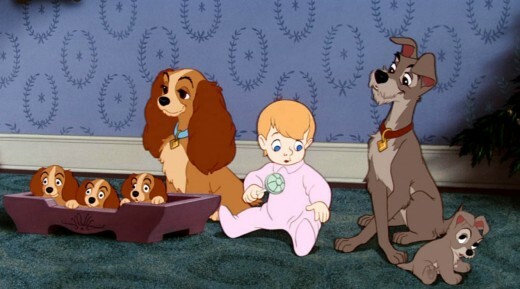 The storyline is heartfelt as can be expected from a Disney animation movie, with a good connection between a group of friends (dogs and a cat). The bad guy is scary, with a couple of henchman (dogs), which act as the force, which work well in creating a movie with a battle to gain freedom from the clutches of evil. A story set in Hawaii, which is interesting as usually the setting in Disney's animation movies is america but then again, there's nothing better than a change of animated scenery. 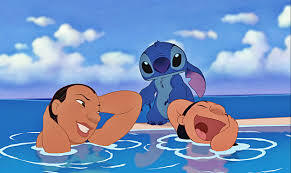 The connection between Lilo (little girl) and Stitch (alien) is quite amazing, with a friendship unlike any other. A fun and funny animated movie, with a hilariously adorable Stitch (alien), who alone makes the movie worth watching. The storyline is well paced, with a bad guy, whose also quite funny, adding a little more humour to the already delightful movie. Ever wanted to go into the future, using a time machine? 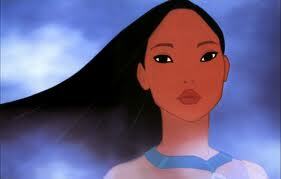 Then this animated movie may pique your interest. With a look into a boys future, he discovers a world which he feels he belongs in, with a revelation at the end of the movie which ties the movie up nicely. 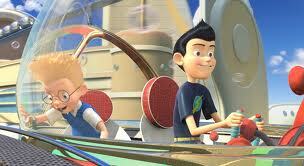 A modern animation movie, which is fun, full of creativity, and a futuristic vision of what could be...! Whether it's a good animation movie or a futuristic vision one seeks, this is a must watch! Like Sherlock Holmes's, book, movies, TV series, or all of them? Then this may be one to watch. 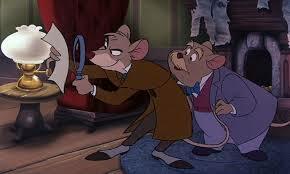 The lead character is a detective mouse (Sherlock Holmes), who is on a case to find a missing child (mouse), who is being held captive by Ratigan (an evil rat). This is surprisingly dark, mysterious, animated movie, with plenty to get into as soon as the movie begins. This is one of Disney's best animation movies because of its unique story about a detective mouse and also because of the utter scariness of Ratigan. The story of King Arthur, when he was a child, before he became a king, and his journey in becoming a legendary king. Along with the Merlin (a wizard) and his talking owl, Arthur sets off on a journey of self discovery, in finding out who he meant to become. This is a fun, consistently funny all of the way through, animated adventure, which is based on one of the best known historical people, King Arthur (as a child, before becoming a king). 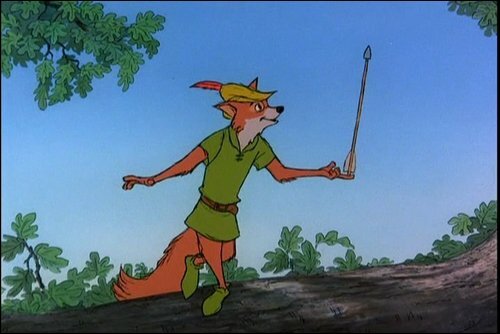 Its Disney's twist on the legendary tale of Robin Hood of Nottinghamshire, with Robin (a fox) and his merry men (animals), who steal from the rich, and give to the poor. Robin's defiance against the crown and law does not go unnoticed, as the king (a lion), has his men (animals), find Robin Hood, so that he may be imprisoned for his unlawful acts. This is a classic Disney animation movie, which many will have seen, and for the many who have not yet seen this tale, it is a must watch! A fan of dogs? Or more specifically, dalmatians? Then this may be one to watch! 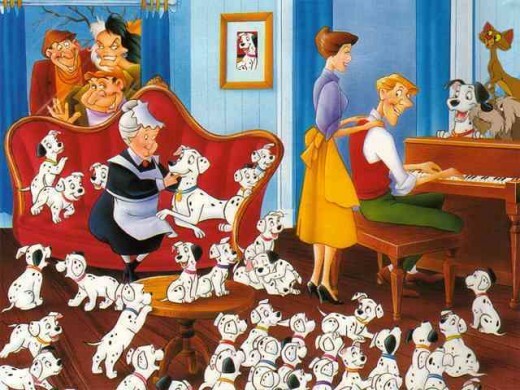 A story which is based on a litter of 15 dalmatians, which are owned by a sweet married couple, but are under threat by an evil lady, Cruella De Vil. Cruella wants to have a lovely dalmatian fur coat, so she hires a couple of criminals, to kidnap the puppies and take them to her mansion. They kidnap the 15 puppies, plus plenty more, which racks up to a rather precise 101 dalmatians. 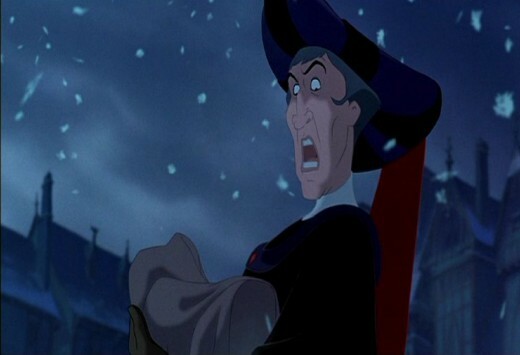 A great Disney classic, with all anyone could want from an animated adventure, with some of Disney's best drawing animation, comes one of the scariest evil dad guys, and some fantastic scenery, and other character drawings. A remake of a masterpiece classic, with a mixture of animation and music, just as one would expect from a Disney Animation movie. 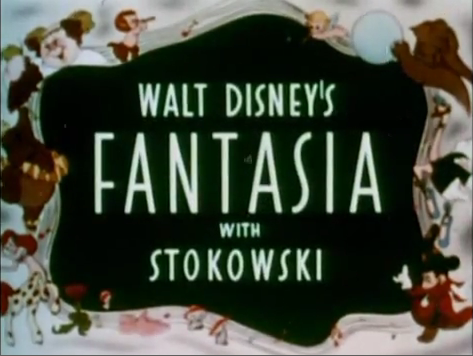 A fan of Fantasia (1940)? YES, then this is one to watch! Not that it is better than 'Fantasia', but it definitely lives up to expectations, with everyone's favourite Disney characters. 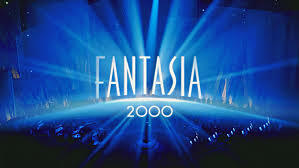 Personally, it is my opinion that a Disney movie with Mickey Mouse, is always one to watch, and when it comes to 'Fantasia', I'm the ultimate fan. With more realistic, more outstanding, and purely brilliant animation, like we have never seen before from Disney, this was a defining moment for Walt Disney Animation, as they had never before made an animated movie quite like 'Dinosaur' (2000). 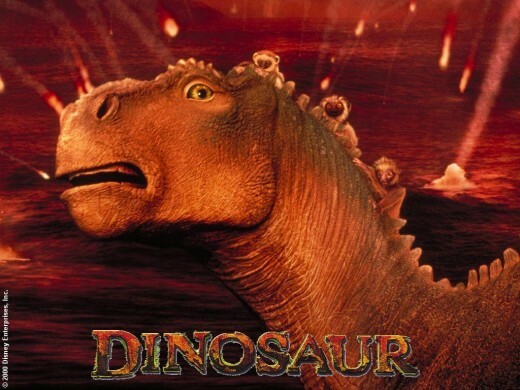 The characters felt real, the dinosaurs (good and bad), were something of spectacular design and superb artwork, which holds up, even with today's animation. However besides the animation (which couldn't have been any better), the characters talking, brought the level of how realistic the movie was down a notch, which overall affects the viewers ability to believe that this movie could actually be real. Not that anyone should be put off by this small negative factor, as apart from the slight problems with the talking, the movie was, to put in a few words, an animated adventure of spectacular proportions. 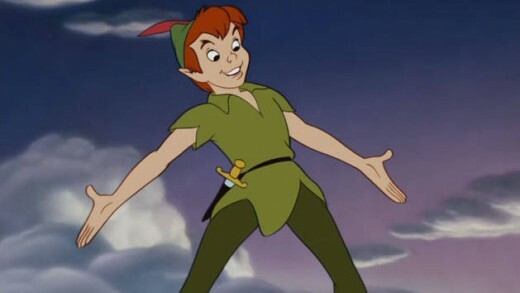 Everyone's favourite lost boy, the brave "Peter Pan", who leads the group of lost boys on a mysterious island full of magic and danger. New additions are brought to the lost boys, which increases the fun, but also the danger as they bad guy, Captain Hook, who sees to it that "Peter Pan" is hunted down. A magical adventure, which is great fun for children, but leaves very little for adults to enjoy, with most of the movies humour being aimed towards young children. 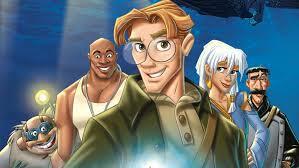 Although, still a great animated movie with plenty of adventure and fairy dust. Everyone's favourite bear, "Pooh", in the wonderful adventure starring "Pooh" bear and all of his friends in the hundred acre woods. This is a collection of animated shorts, which explore the lives of "Pooh" and his friends, Rabbit, Piglet, Eeyore, Tigger, Owl, Kanga, Roo, and Christopher Robin. Great for children aged 3 and above, with some good humour, fun, and overall adventure. All of the animated shorts put together, make one heck of a movie. An adventure of two dogs, living completely different lives, one in a house (with a loving family), and the other living on the streets (unloved), who find love with one another. A touching love story between two dogs, from the opposite sides of the fence, who meet in unlikely circumstances, which lead the two to fall in love with one another. An animation well worth watching for anyone with a beating heart, and a liking for romantic love stories. The lives of the Native American Indians are uncovered in this tale of a tribe of Native American's, whose lives, and homes are threatened when English explorers find the land of America, and start a search for gold. A winning story, with adventure, romance, and history, which all makes this animated movie to watch, for anyone with any interest in a good movie. This is Disney's first animated movie release starring Mickey Mouse, which really is a lot of fun to watch, having been made in 1940, this is a classic by right. With a collection of animated interpretations of great works of western classical music, this is one to watch, with pure Disney magic. Disney's interpretation of the demigod of legends, which adds a little Disney magic to the mix, with some funny, some sensitive, and some evil characters. Never before, have we seen a Disney animated movie which tells a legendary tale based upon the gods (literally), and they have done a damn good job. 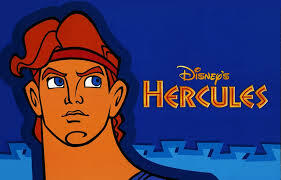 Made in the 90's, right when Disney were at their best, they created 'Hercules', which like all of their other movies being created at the time, is a magically brilliant movie. Anyone whose a fan of animation, or more precisely Disney, will want to own this one. Life under the sea! With King Neptune, mermaids, a talking crab, talking fish, and evil. This is a great addition to Disney's library which doesn't cease to surprise as the movie isn't all fun and games when evil moves in on the sweet life of a young princess mermaid Ariel. Its a fun adventure which takes place underwater in a mermaid kingdom, with a mermaid princess, and an evil bad guy right around the corner. This is most definitely a new twist on the usual princess movie which Disney are used to producing, which is always a plus, as it is a fantasy of originality. When a little wooden puppet comes to life, he wishes to become a real boy, but this is something which isn't going to come easy for the little wooden puppet boy. 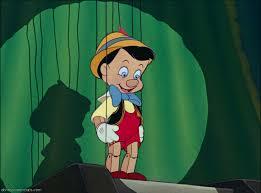 "Pinocchio" embarks on a treacherous journey, which has evil around every corner, which makes the movie quite dark, but also very entertaining. Pinocchio is a well-known Disney animated classic, which is worth watching, and certainly worth adding to a personal movie collection at home. A well put together story which feels like an experiment for Disney, for them to turn the usual sweet, charming, princess style animation, into a dark, unusual animation which doesn't rely on a princess story to make a good animated movie. This is one of Disney's darkest animation movies, however not too dark, which is worth watching out of fascination alone. A Disney animated fairytale, based on Princess Aurora, and the evil witch Maleficent, who decides that Aurora will die before her 16th birthday. This is certainly one of Disney's better known animated fairytale adventures, focused on the princess, which isn't necessarily surprising for Disney to produce, but still a great feature, none the less. With the latest live-action release this year of 'Maleficent' (2014), which is similarly based on the story of Princess Aurora and the evil Maleficent. 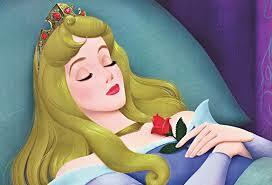 If you've seen this movie, then "Sleeping Beauty" is a must watch. 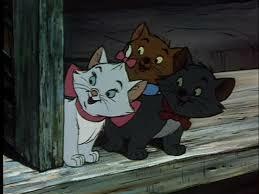 Another Disney Classic, which is based on a mother Persian cat and her 3 kittens, who are set to inherit a fortune from their owner. However the jealous butler isn't happy, so he drops the cats in the middle of nowhere. The cats journey back to their owner with the help of a tomcat, who helps them find their way home. This is a classic Disney animation movie, with some brilliant drawn animation, which makes for an entertaining addition to Disney's animated collection of movies. 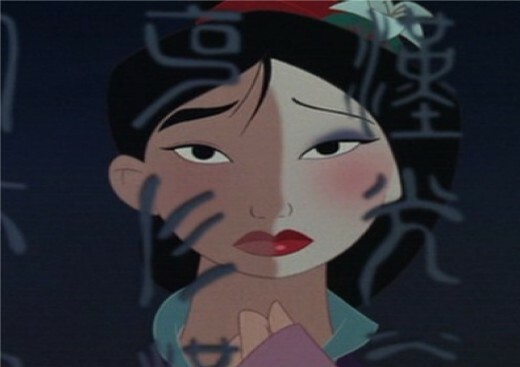 Another brilliant 90's release from Disney Animation, with an emphasis on the Chinese culture, based in China, focusing on an impending war against a barbaric army, who seeks to kill the emperor, and take his land. Although not a simple fight as complications occur, causing an impending doom for one side. 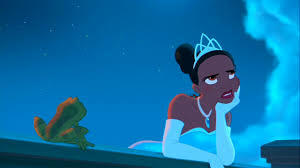 The lead character is a woman character, which is always nice to see, not that this is unusual for Disney as they are known for their lead woman characters, although this lead character is not a princess, nor is she royalty at all. A fun animated adventure, with a dragon (not to get too excited as it is the size of a lizard), but still a funny addition to the characters in this movie. Not to mention a lucky cricket, which may make the movie sound quite odd from those two characters alone, but I reassure you that there is plenty of humans present in this movie, good and bad. Strangely enough 'Tarzan' was produced by Disney the next year, straight after Mulan (previously reviewed), which makes another surprisingly interesting addition to the Disney collection. This is an animated movie with a superb score, with some lasting songs, which stick in the memory, making this one of Disney's best scored movies ever. However back to the movie itself, the storyline is something unique, based on a man (named Tarzan), whose parents are killed by a leopard (when Tarzan was a baby), and is saved by a gorilla, who raises him as her own. The gorilla family think of Tarzan as one of them, accepting him into their world, and as Tarzan grows into becoming a man, he soon learns that there are more of his kind out in the world. When a scientist and his daughter Jane, go to Africa to explore the gorillas, they meet Tarzan, who is more of an ape than a man as he is unable to speak the English language. 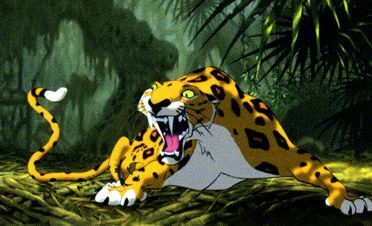 The connection between Tarzan and Jane is honestly magical, making this one of the more emotional Disney animated movies, with one of the best bad guy characters also. The old tale of Scrooge, who has been set in his cruel ways for some time, and has grown especially mean around the festive season, leading everyone to hate him. 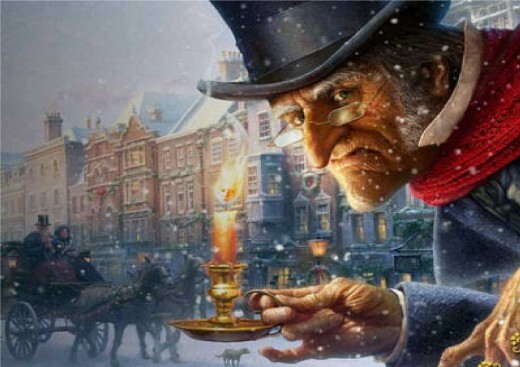 However Scrooge is a wealthy (also believes he is well respected) man, who lives a lonely life, with his work being his main focus, so he may essentially make himself more wealthy and in return, a less liked man. This is a modern Disney animation, which is perfect for the festive season to watch with the family, with something for everyone to enjoy. The movie starts a little slow, but soon picks up in pace when Scrooge is met by 3 ghosts throughout the night, who help him realise, the kind of man that he has become, and the reality of what people think of him. This is by far the best interpretation of the tale, 'A Christmas Carol' so far, animated or otherwise. This is a movie everyone is going to enjoy, especially since its main focus is fantasy oriented based in the video game world, with the main character Ralph, who decides he no longer wants to be the bad guy, but rather the good guy. This is an adventure, no one will regret taking as it is excitement around every corner, and everyone at sometime in their lives, have found time to appreciate video games, some more than others, and this movie is essentially for all of those people. Not a fan of video games? Not to worry! Not like you have to play one whilst watching the movie, so you'll probably still enjoy the movie either way. "Quasimodo" (AKA "The Hunchback"), is a warm character which the viewer will fall in love with immediately, despite him being deformed. The movie is good at sending a message to younger people, that we should accept everybody for who they are on the inside and outside, as well as, to not judge others too quickly based on their appearance. 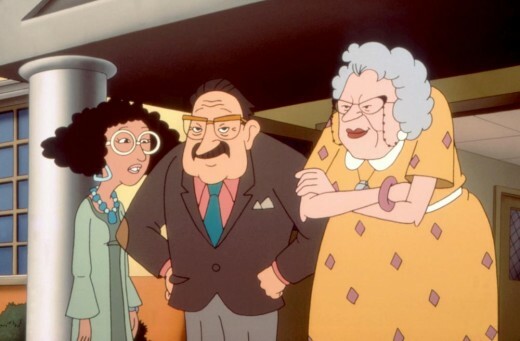 It is well-known that Disney like to have messages sent to their audiences, which is great for child audiences, but the movie itself is also entertaining, with some great characters, including the talking gargoyles. 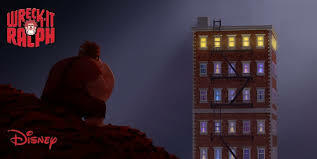 The perfect movie for family audiences, with a near perfect message, which should make this a number 1 animated movie, for younger audiences to watch, and the story is also near perfect. The bad guy is perfect, with a fearful look in his eyes, a malicious attitude, and an easily set-off temper, making him the perfect bad guy. 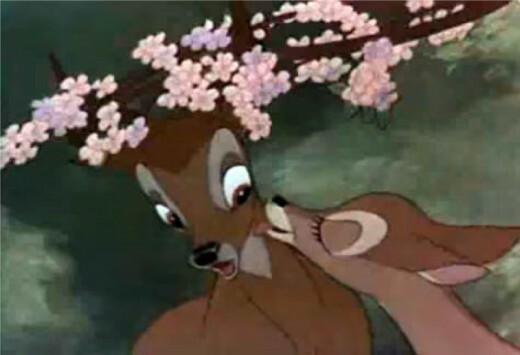 This is Disney's most adorable animated movie, based on the life of Bambi, as a young baby dear, and then into adulthood. This is a sad movie to watch, but soon becomes a fun and cheery movie again, so this a movie to persevere with, if your not into sad movies, as it soon becomes a fun and cute movie, worth the while watching. A friendship forms which definitely brought cheery emotions of happiness to life, when the young deer meets a young rabbit, and they become friends, with the iconic scene when "Bambi" falls over on the ice, and cannot stand back up properly. An emotional animated movie, with the sad and the happy, which makes this one of Disney's more memorable movies, all about the life of a dear from young until old. 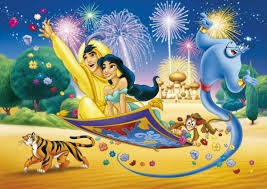 When a street urchin, Aladdin meets a beautiful princess named Jasmine, he immediately falls madly in love with her, and decides he must do as he is told be the evil Jafar (Aladdin not realising that Jafar is evil), which is to retrieve a lamp (magical) for him, to impress Princess Jasmine. This is one Disney Animation, which is unlike any other with the hilarious characters including a genie (voiced by Robin Williams), who us by far the attraction for viewers in this movie as he is through lack of a better words, amazing! Although the storyline is still good, the other characters are good, and the movie overall is great (partly because of the genie). Set in the Indian Jungle, Mowgli, a boy raised by wolves, must travel to a near village (with people), to avoid being killed by an evil tiger, Shere Kahn. 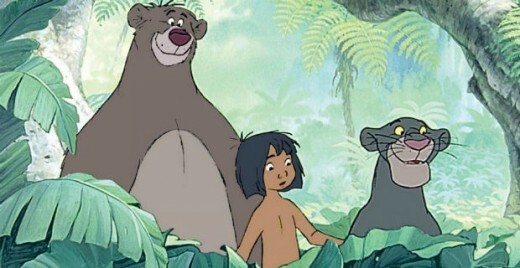 On the journey to the village, Mowgli meets some interesting, and fun characters with a fun song breaking out every now and then. With a good story, fun music, good and bad characters, this movie ticks all of the box's in what it takes to create the perfect Disney Animation movie. A princess tale, everyone has heard off and most likely seen Disney's telling of the story, through their animated movie, Cinderella. A movie based primarily around "Cinderella", a slave in her own home, due to her evil step-mother who makes her do all of the house work and more. The ultimate princess tale, with the life of a once troubled girl, due to bad luck, having all sorts of bad occurrences in her life, which finally leads up to her getting the prince, as all fairy tales princess stories should be. Into the princess fairy tales? Then this may be the one for you! 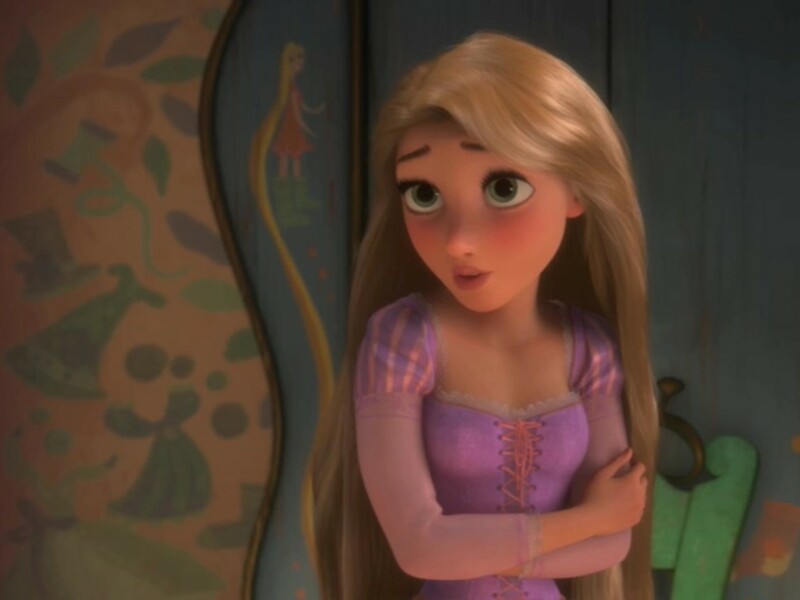 Disney finally make a modern telling of Princess Repunzel's story, which is one of their best created so far... with a handsome hero, funny characters, and a charming storyline with good and bad both combined gloriously. This isn't a movie to watch, if you are into princess stories, although that is kind of the idea behind the movie. 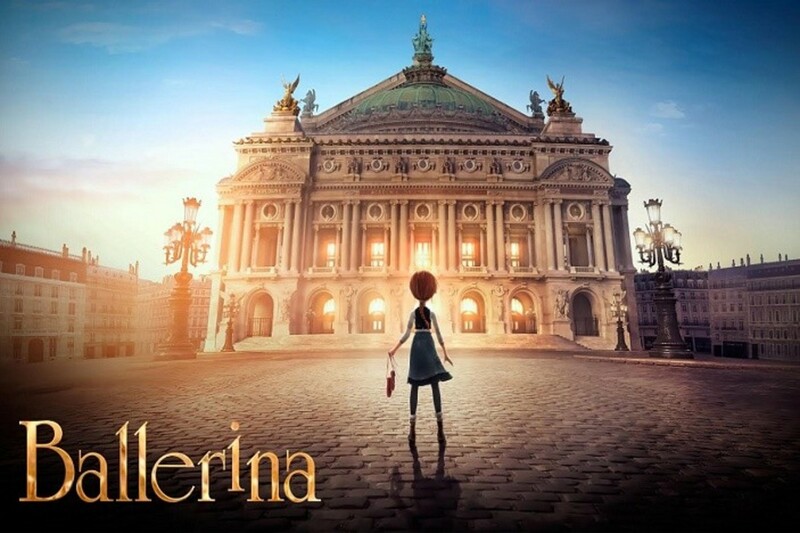 This is a movie to watch for pretty much anyone into a great animation movie, with real life feeling, and an amazing tale of a princess, whom until now hasn't received a great interpretation from Disney. In a dream world anything can happen. 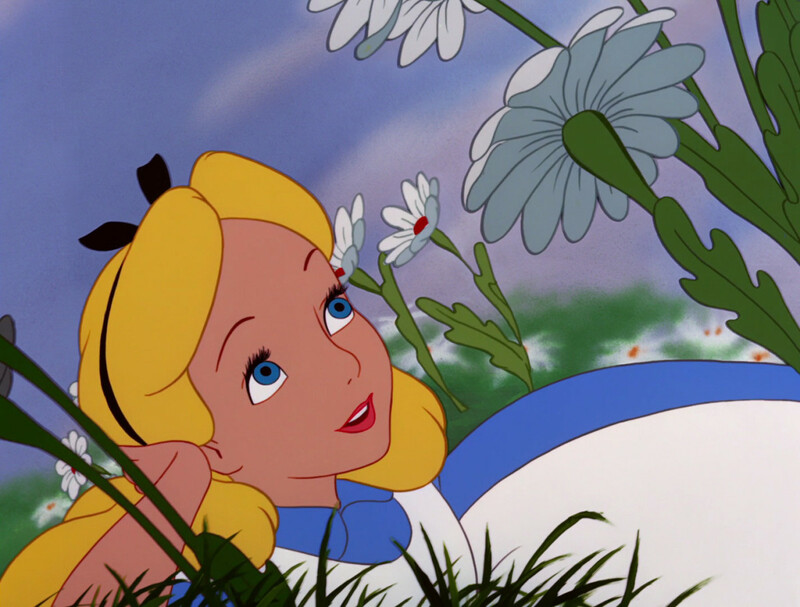 In Wonderland, that is the idea as this isn't the typical Disney story, with a princess tale or a historically based movie, but instead a magical world brought to life of what one persons fantasy world looks like. 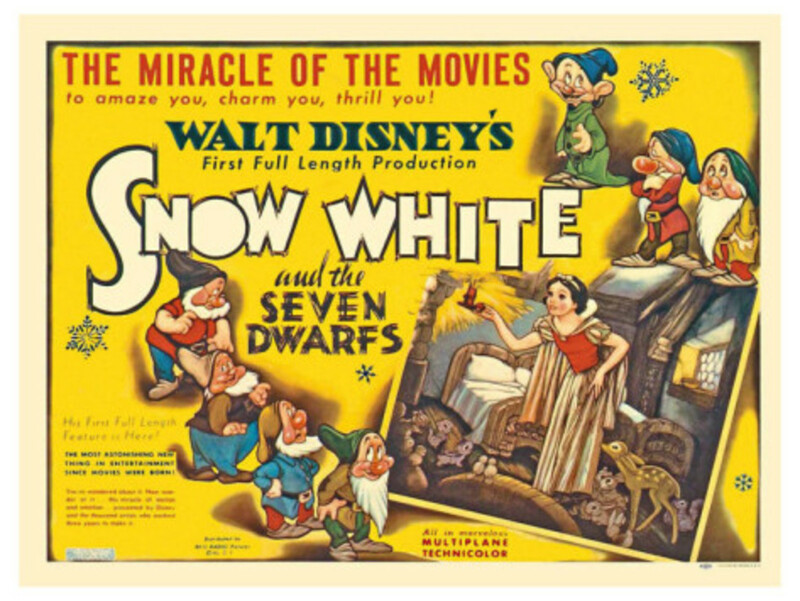 A daring move for Disney, taking such a bold step forward, especially considering this movie was released in 1951, when Hollywood and the entire world was a completely different place to be in. As at that time Alice and Wonderland did not receive a great reception, in fact, the movie flopped, which is shocking as this is by far one of Disney Animations best movies. A quirky, wonderfully strange, vastly entertaining movie which everyone should see at least once in their lives, if anything to say they have seen it. 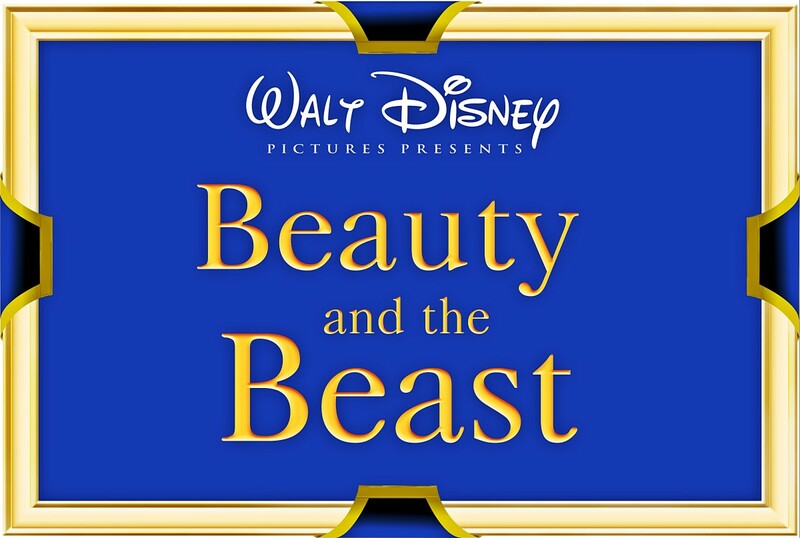 Moving into the 90's (golden decade for Disney Animated movies), they produced 'Beauty and the Beast', which is a festive, magical delight to watch again and again. This movie was the perfect animated interpretation of the beauty and the beast, as it seemed to capture every emotion perfectly, which is rare to see in animated movies. This is the perfect love story, which has been a changing factor in the way animation movies approach their stories in terms of the fantasy element, to see how far they can go, and still make a great movie, which people want to watch and spend money to see in theatres. 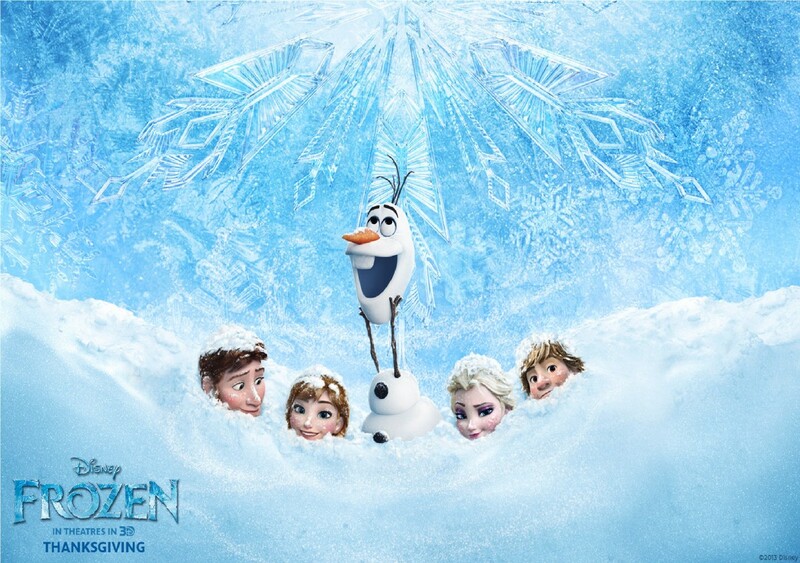 'Frozen' is Disney Animations highest grossing movie (over $1 Billion), which has shown that Disney are not through fighting to produce some of the best animation movies on the market. Although not the best Disney Animation movie ever produced, it is certainly in the top 3, which makes it a damn worthy movie of watching, especially during the festive season. With some unique characters, an emotional storyline, with some familiar scenes from the past like the scene in 'Frozen' when the reindeer falls over on the ice, which is slightly similar to the scene in 'Bambi', when "Bambi" falls over on the ice. That certainly added an edge to the movie, bringing back nice memories from Disney's previous work, but the entire movie certainly gets you into the festive mood. 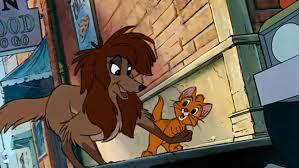 The first animated movie ever produced by Disney and by far... still one of their best. 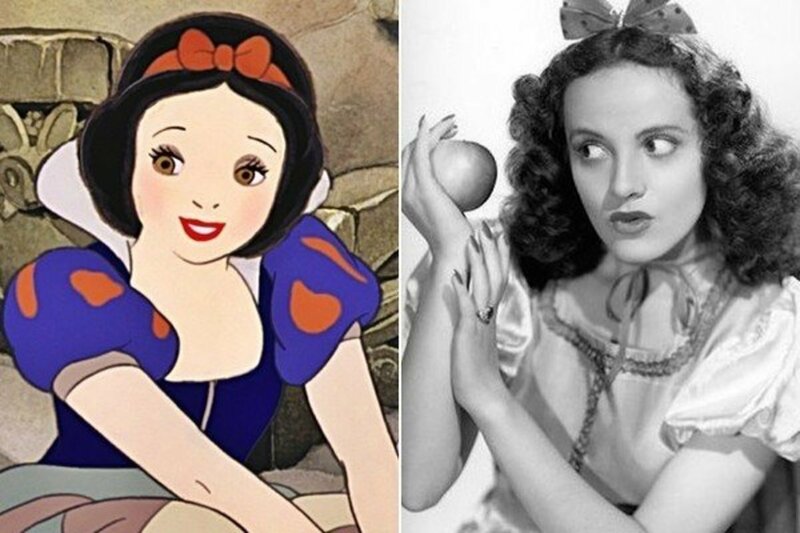 The movies characters from Princess Snow White, the evil queen (Snow White's step-mother), and the dwarfs, were all brilliantly drawn, creating a ground breaking animated masterpiece. The characters came together well, with the clash of good and evil, the kind and heroic nature of the dwarfs, and the purity of Snow White, certainly made this a great movie to watch. This is not just Disney's first animated movie release, but a movie everyone appreciates more today than ever before, which is something to remember when watching this movie in the future. 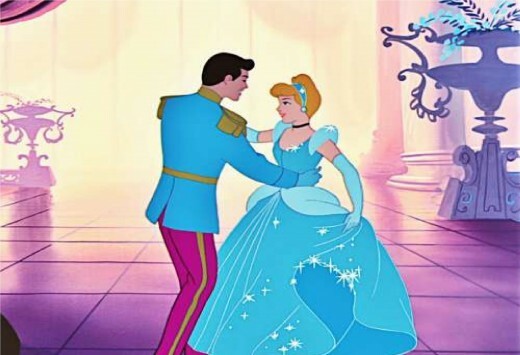 Not forgetting it was the start of Disney's obsession with princess movies, which became a large influence on plenty of Disney's earlier animated movies, and even today for that matter. This is the best Disney Animation of all time, with a perfectly organised set of characters, offering the good extremely well as well as the bad characters, which make the movie something of a masterpiece. The drawn animation is great, with the scenery, the characters, and perfect in capturing the emotion in battles had during the movie. From start to finish, everything was perfect which left nothing which could be said critical about the movie other than that it should have lasted longer. Thank you for reading this hub, I hope that you found reading it as enjoyable as I had writing it. I'm sure it was little surprise to see that I'd ranked Disney's 'The Lion King' at number 1, but if you feel that it would have been better ranked lower with another of Disney's animated movies at number 1, then please leave the titles name in the comments box below. Any other thoughts or opinions can also be placed in the comments box below, and I will make sure to answer A.S.A.P. Thank you for the comment LailaK, those are a couple of Disney's best. I enjoyed reading your hub! I agree with most of the movies in the list. 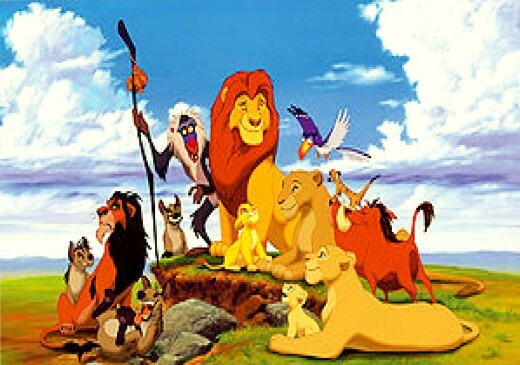 Personal favorite is The Lion King and Frozen :) Voted up!